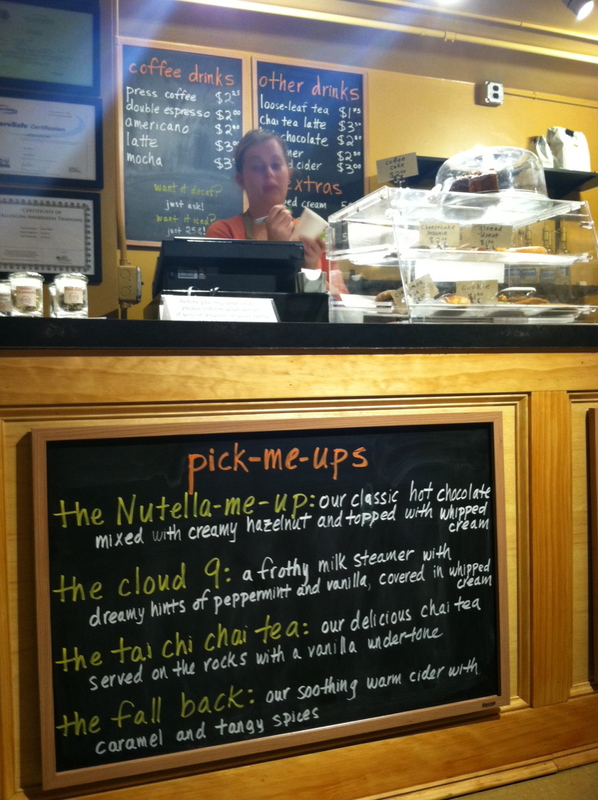 Harvard College Student Blog · My first taste of Cabot Cafe! My first taste of Cabot Cafe! I must confess, I rarely make a trip to the Quad. As far as Harvard’s campus goes, walking from Dunster to the Quad Houses is essentially as far a walk as you can make – 25 minutes, unless you catch the shuttle (which does, conveniently, pick up right outside the front door of Dunster). This week, though, I made the journey for one specific reason: to check out the much-talked-about Cabot Café. Cabot House is one of the three Quad Houses, and last semester a few students petitioned the University to help them start a swanky new coffee shop in the House’s basement. Thus far, it’s been a huge success, and I felt like I’d be missing out if I waited much longer before paying a visit. Check out this article to get a fuller background on the founding of Cabot Café, but the basic idea is that five Cabot undergraduates approached the housemasters last year looking for support for a new student-run café on campus. I have to brag…one of the five was my freshman roommate! Cabot Café works with coffee shops and bakeries in Harvard Square to help stock their supplies, and I know the café has earned a great reputation for always having a great selection of baked goods available for late night snacks. In addition to generally having tasty food options and a full coffee drink menu, Cabot Café also prides itself on providing a comfortable social space for students on campus. As stated in this article from the Crimson, Cabot Café has from the beginning encouraged students to hang out and study in their space, regardless of whether they’re ordering off the menu. 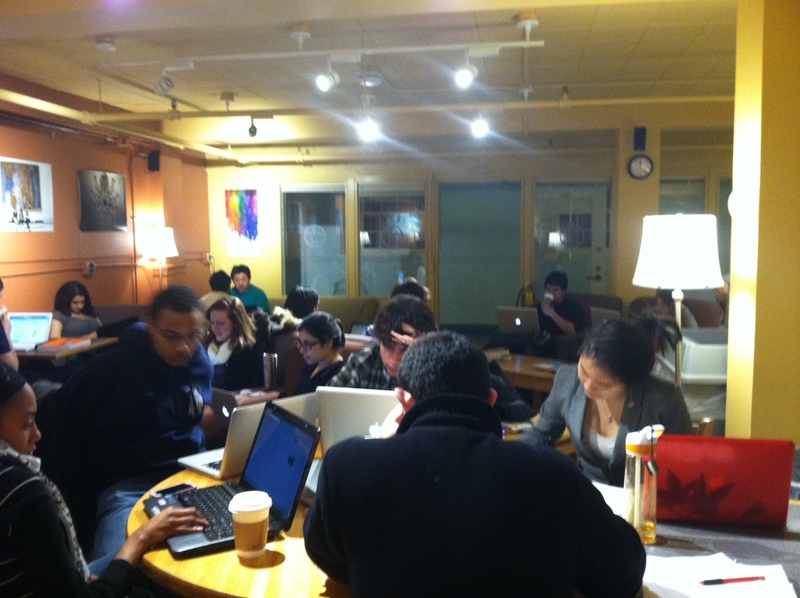 Thus far, the project has been a huge success and the café even went under pretty serious renovations this winter. They reopened at the start of the semester featuring better lighting, new comfortable furniture, and student art decorating the walls. What better reason to visit! Cabot Cafe at its busiest! When I arrived at Cabot Café, I was pleasantly surprised to find that the student barista working behind the counter knew a ton about the various drinks they offered and expertly made me a handcrafted “Mocha Loca”. Though the space was fairly empty when I first got there, it was packed in no time with students setting up to study for the night or hang out with friends for a bit. As in any café, there was a comfortable amount of background chatter; unlike some other stores, the music selection in Cabot Café was actually good! I found that the café genuinely was a comfortable and enticing place to study. In fact, I almost missed the last shuttle back to the River because I was getting too comfortable! Outside of my visit to Cabot, this week was also fantastic because of the unbelievable (if not unseasonal) weather we’ve been having. Temperatures crept above 80 three times this week – I even had to pull out my underbed storage so I could start using my summer clothes again! Though I do feel as though Boston was generally cheated out of winter this year, I can’t complain about having beautiful sunny days in the middle of March. Soak up some Vitamin D! I’ll see whether I can get more information about them! Whoever is picking the music actually does an incredible job. 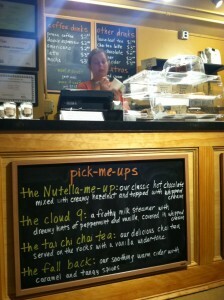 great coffee cafe with unique menu offerings.